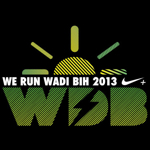 Held every year since 1993 the Wadi Bih Run is the oldest regular running event in the region. If you’ve recently moved to Dubai or been living here for a while the Wadi Bih Run is a must do event for any keen runner. The run is for teams of 5 runners, with each runner completing about 15km to give a total distance of about 72 km. Hardy individuals can run the entire distance solo. The relay is for teams of 5 runners (1 female mandatory) on asphalt road then gravel track to an altitude of 1000m (36 km) & then returns to the start, a total distance of 72km. 4 runners shall complete the first and last stage and individual runners the other stages. The route is marked by stage markers between 1.5 & 4.2 km distance and the support vehicle transports the other team members along the route. The run is held in Dibba, Sultanate of Oman and follows asphalt roads and graded gravel tracks through the spectacular Hajar mountains. 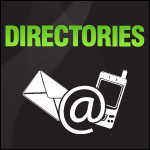 This year the run takes place on 8th February 2013.